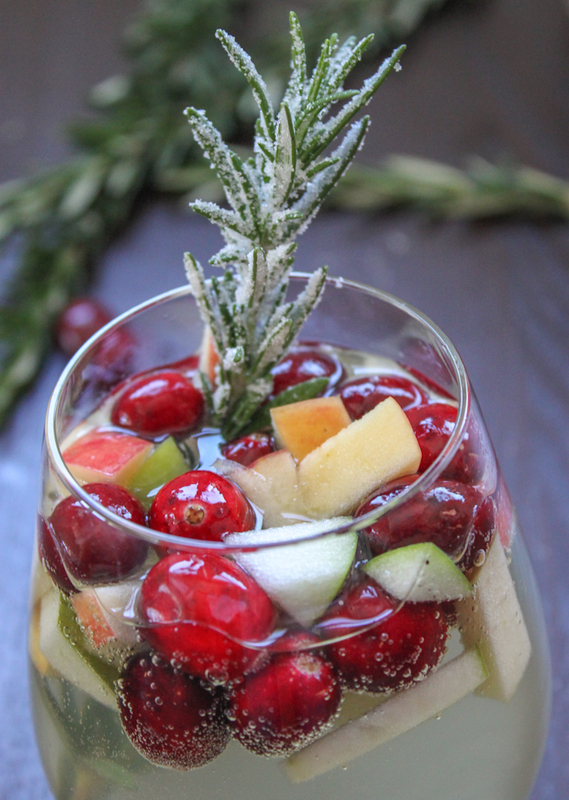 Holiday Sangria- the healthy way to enjoy alcohol this Christmas! Yippee, Christmas is finally here and what better way to spend the next few days than sharing a festive tipple (or tipples should I say) with family and friends, especially when your choice of drink has health benefits! Sangria is usually considered to be a summer drink but this seasonal take is perfect for the holiday season. Using fruit and red wine it’s actually as healthy as alcohol gets. Studies show that drinking red wine once a day for women and twice for men can help to protect the heart and control cholesterol levels. Plus, wine and superfruits contain plenty of antioxidants, which block free radical activity. 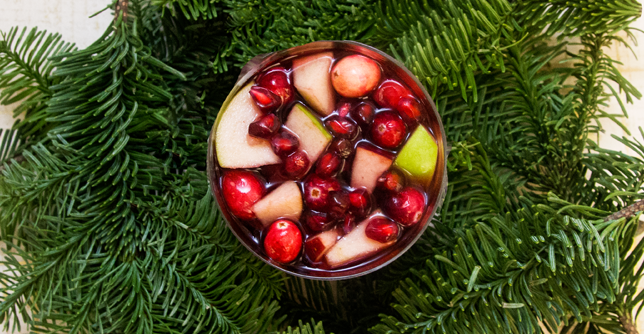 Holiday Sangria is also really easy to make. Perfect! All you need is fresh fruit (1 seeded pomegranate, 1 cup of fresh cranberries, 2 pears, a red apple and a green one), the alcohol (1 1/2 bottles of red wine), 2 cups of ginger ale and if you like cinnamon you can add 1/2 a teaspoon! Chop the apple and pear into bite-size pieces, pop into a bowl and mix with the cranberries and pomegranate seeds. Add the wine and stir again. Ideally you’d now want to leave this for 2-3 hours, but you don’t have to if you’re an eager beaver or simply low on time! Add the ginger ale right before serving and stir gently to combine. And finally, take a nice big sip and let the holidays begin! By the way, if you’re not a fan of red wine you can use white, it tastes just as good.